Brief Description of Subject: These identical ornamental windows were based on a design by Michigan artist Dawn Sinkovich. 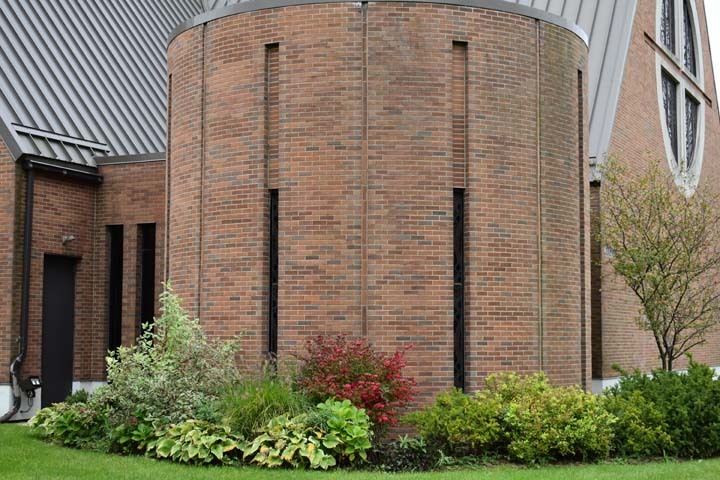 "St. James Church has incorporated a separate chapel for the reservation and adoration of the Blessed Sacrament (it contains the tabernacle). The floor in this very special space is an onyx of rare color and beauty. 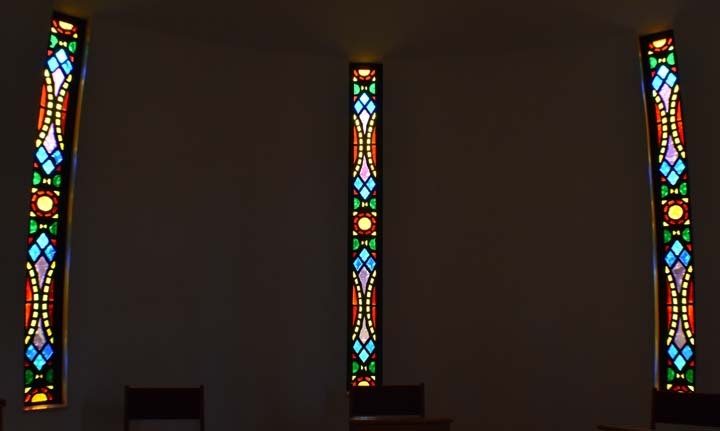 The five windows in the chapel repeat the same design, a modern interpretation of medieval church windows, intended to bring a sense of repose and meditation to the prayerful believer."